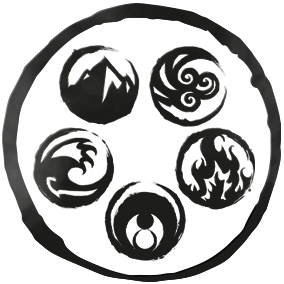 The Five Rings comprise the underpinnings of reality, but they also represent different philosophies of being. At different times, the samurai of the Great Clans embody different aspects of these Rings—the cunning of Air, the endurance of Earth, the ferocity of Fire, the adaptability of Water, or the introspection of Void—and aim to either protect or unravel the mysteries associated with them. With each turn of the seasons, the relative perspectives of the clans shift and evolve according to the counsel of their daimyō and the winds of fate. Those clans who build up their defenses, cement their alliances, and cleave to tradition serve as Keepers of their worldview. Meanwhile, those clans determined to forge ahead, launching gambits and searching for new possibilities, can be said to be Seekers. Each year at the Winter Court World Championship and at the end of each Elemental Championship cycle, the leaders of the clans will determine the outlook and approach of their samurai with the selection of new elemental roles. These critical choices will reverberate across the empire: the newly selected roles will be available for use by all players of that clan for the next eight months of Organized Play events, providing them with important access to additional cards as they build their decks! When building Legend of the Five Rings: The Card Game decks, the rules of the game guide all players. For Organized Play events, there is an important additional rule: access to two elemental Keeper or Seeker roles for deck building, as determined at the Winter Court World Championship each year and at the end of each cycle of Elemental Championships. Every member of a clan around the world is united in their quest to triumph using their designated role. Each type offers a benefit when building decks and while playing. Importantly, some cards are only available to certain roles, with text such as "Seeker role only," or "Fire role only." There are ten roles in total: a Keeper and a Seeker role for each of the five elements. 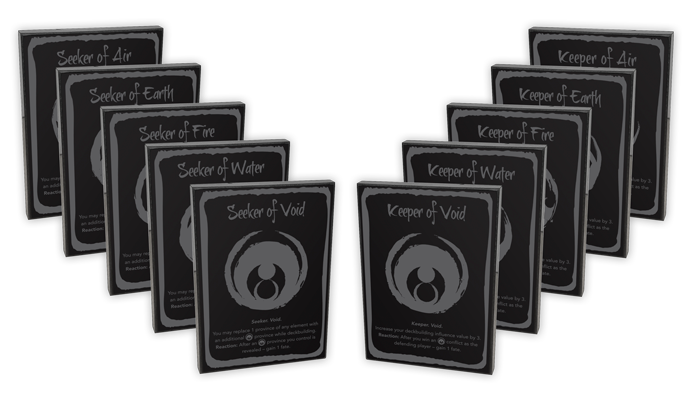 The Keeper roles increase the influence value from your clan stronghold by three, allowing you to include more out-of-clan cards when building your decks. During the game, after you successfully defend a conflict with a ring that matches your role, you gain one fate. The Seeker roles allow you to include two provinces which share their element with your clan's role in your set of five provinces, replacing another element's province. Then, when one of your provinces with that element is revealed during the game, you gain one fate. 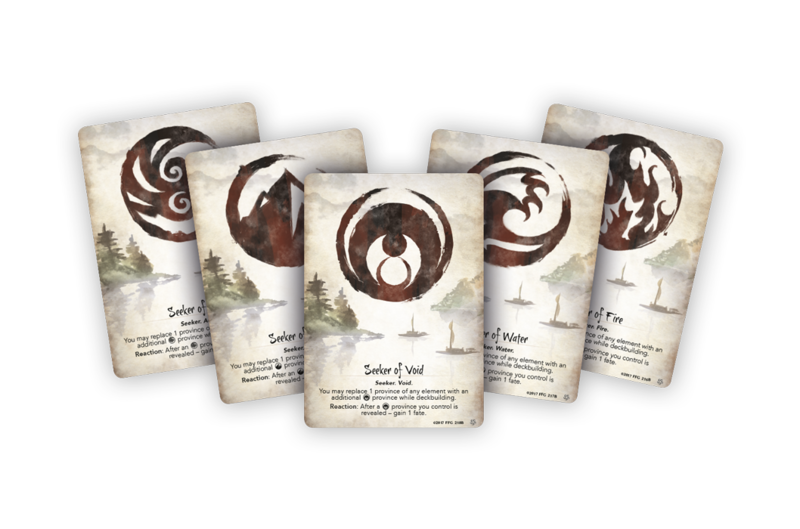 Clan roles are selected after each year's Winter Court World Championship for Legend of the Five Rings: The Card Game at the Fantasy Flight Games Center. 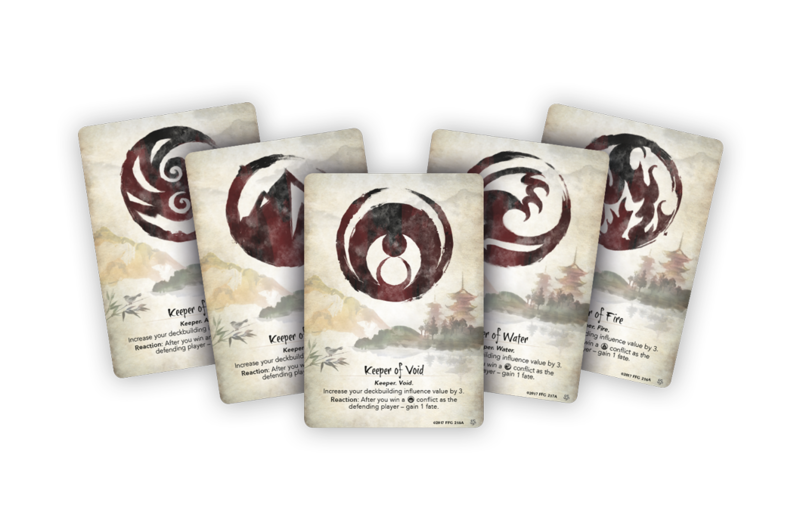 The Roles of Rokugan ceremony invites the top finisher from each clan to choose which elemental Keeper or Seeker role their clanmates around the world will be able to include in their decks until the next year's Winter Court. Importantly, they cannot select an elemental role another clan has already selected at this ceremony, and they must each select a different role from the one their clan held leading into this event! As of the close of the 2019 Winter Court World Championship, players have access to the elemental roles chosen for their clan as decreed below. An exclusive prize awaits those who have the ultimate privilege of selecting their clan's new Keeper or Seeker role at a Roles of Rokugan ceremony. An engraved stone depiction of that role card is awarded to them, and will show the incredible impact they had on their clan's destiny. They can use it proudly for the next season, reminding everyone that they carved out a place for themselves and their clan in the annals of Rokugan! Updated on November 6th, 2018.